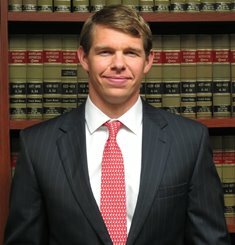 Mr. Whitney concentrates his practice in bed bug litigation, termite damage claims, personal injury and consumer fraud cases. He is a strong advocate of consumers’ rights and believes that consumers must be fairly treated in all business transactions. When litigation must be initiated to achieve a fair resolution of his clients’ cases, Mr. Whitney does not hesitate to file suit and provide vigorous advocacy. He has successfully resolved many sensitive matters of great significance to clients. He has represented clients in the following record bed bug lawsuits: 2013 – $800,000 verdict against a property owner in Anne Arundel County, Maryland; $100,000 verdict against the Red Roof Inn in Prince George’s County, Maryland – 2015; $90,025 verdict against a Section 8 landlord in Baltimore City, Maryland – 2015. While majority of the cases Mr. Whitney accepts are on a contingent basis, hourly representation is available in select matters. J.D., Widener University School of Law, 2010. B.A., Western Maryland College, 2005.